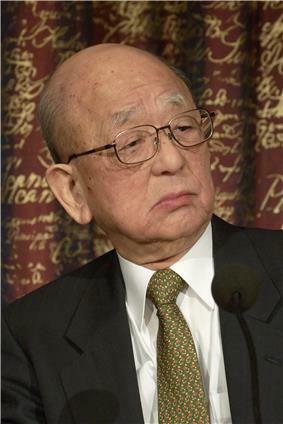 Akira Suzuki (鈴木 章, Suzuki Akira, born September 12, 1930) is a Japanese chemist and Nobel Prize Laureate (2010), who first published the aryl- or vinyl-boronic acid with an aryl- or vinyl-halide catalyzed by a palladium(0) complex, in 1979. Suzuki was born on September 12, 1930, in Mukawa, Hokkaidō. He studied at Hokkaido University and after receiving his PhD he worked there as assistant professor. From 1963 until 1965, Suzuki worked as a postdoctoral student with Herbert Charles Brown at Purdue University and after returning to the University of Hokkaidō he became a full professor there. With his retirement from the University of Hokkaidō in 1994 he took several positions in other Universities: 1994–1995 Okayama University of Science and 1995–2002 Kurashiki University of Science and the Arts. He was jointly awarded the Nobel Prize for Chemistry 2010 together with Richard F. Heck and Ei-ichi Negishi. ^ Miyaura, Norio; Yamada, Kinji ; Suzuki, Akira (1979). "A new stereospecific cross-coupling by the palladium-catalyzed reaction of 1-alkenylboranes with 1-alkenyl or 1-alkynyl halides". Tetrahedron Letters 20 (36): 3437–3440. ^ Miyaura, N.; Suzuki, A. Chem. Commun. 1979, 866. ^ Miyaura, Norio; Suzuki, Akira (1995). "Palladium-Catalyzed Cross-Coupling Reactions of Organoboron Compounds". Chemical reviews 95 (7): 2457–2483. 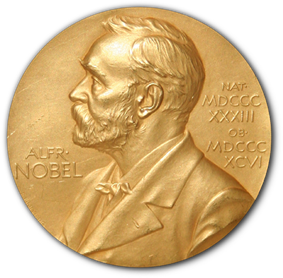 ^ "The Nobel Prize in Chemistry 2010" (Press release).